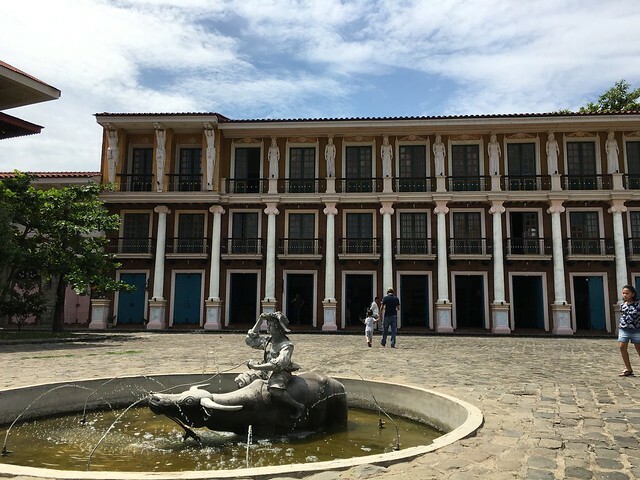 It's been 4 months since our trip to Las Casas Filipinas De Acuzar and I haven't found the time to really sit down, write about it and sift through our photos until now. I just hope I can write Part 2 right after posting Part 1. Heehee! 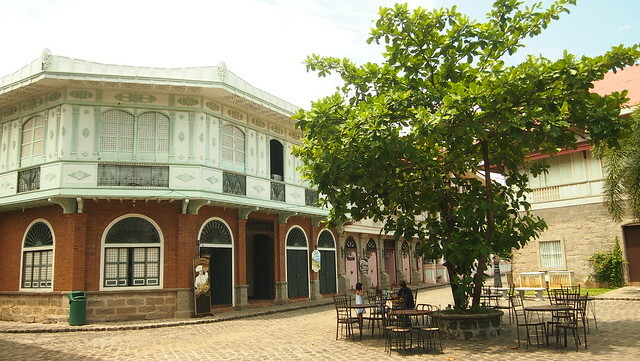 Las Casas transports you back to the 18th century. 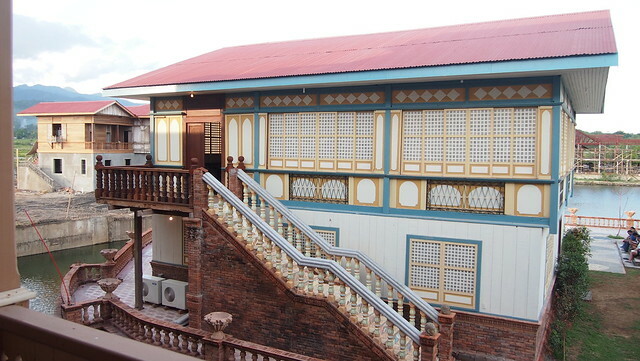 If you love old houses, buildings and history, you will love, appreciate and enjoy staying at Las Casas! 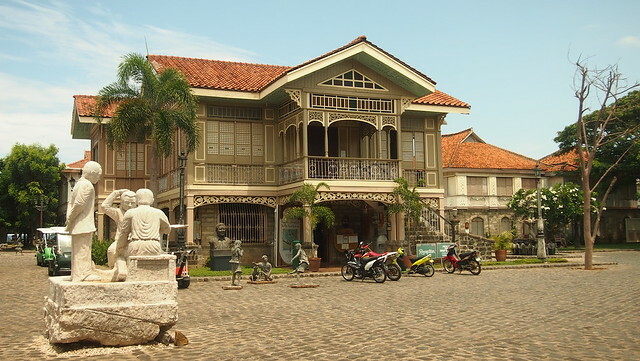 Las Casas Filipinas de Acuzar is located at Bagac, Bataan. It's 125km away from Manila and our drive took about 4 hours. 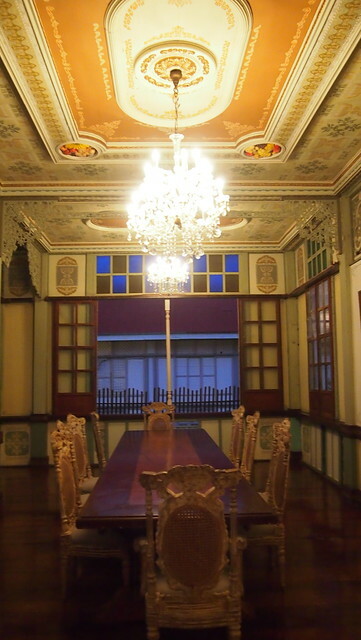 We have been wanting to stay in Las Casas for so long but I heard that the rooms were expensive but the BOS said to go na while we can baka tumaas pa rates next time! 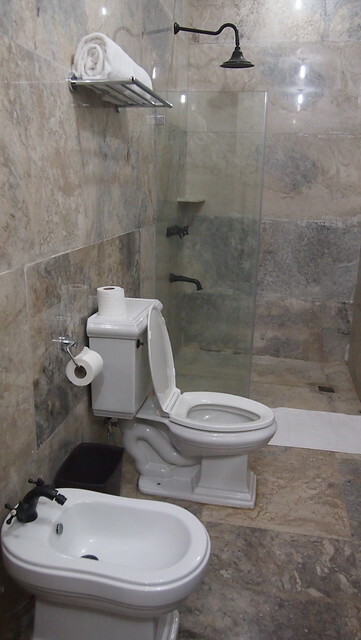 Here's one of my travel/booking tip: always check your destination's hotel website for promos and special offers. Aaannd I got a really great deal! Since we stayed on weekdays, the rate was lower and they had a 50% off on the second night promo. 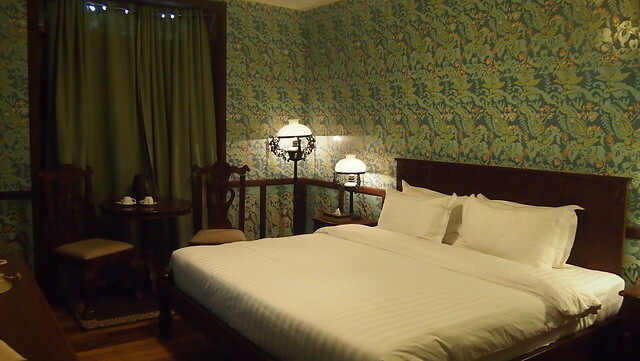 Our room rate was Php6,000 which includes 2 nights accommodations, Heritage Tour, use of the pool and their facilities plus all tax and service charge are included already. Breakfast wasn't included though. 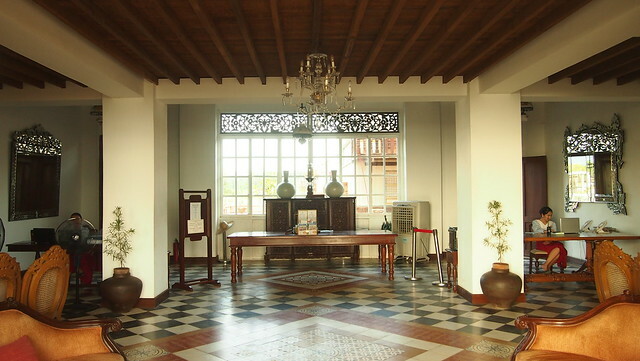 This is Estero de Binondo where we checked in and stayed. We stayed in a Deluxe Room on the second floor. 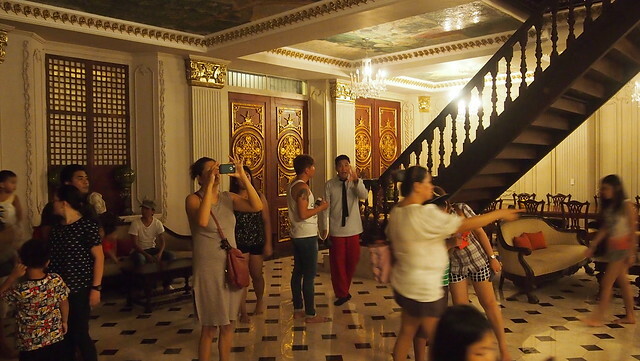 This is the lobby where we checked-in. And these are my kids, our best travel buddies! 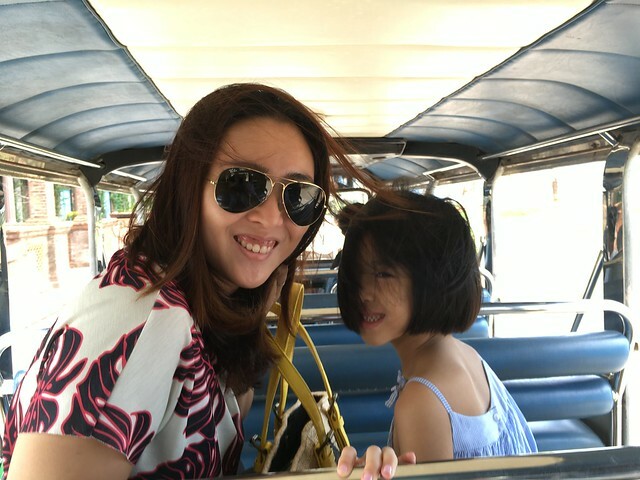 We love traveling with them and now we're used to traveling with no yaya. Woohoo! Traveling with no yaya can be practical. The kids are still free of charge and we can all still fit in a king-sized bed so I'm savouring them while they're small and don't need an extra bed or room yet! 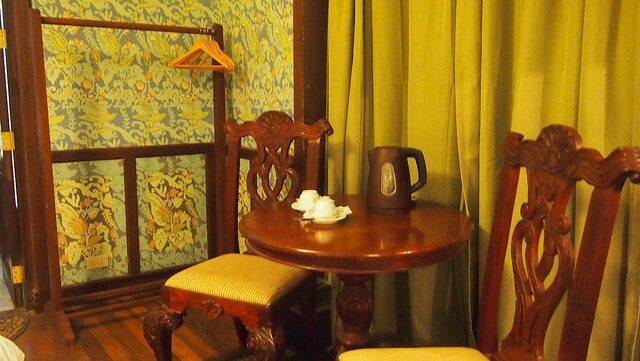 We stayed in a deluxe room with a king-sized bed complete with a TV with cable, complimentary coffee/tea and water, mini bar and small dining area. There's nothing behind the curtain, it's actually a window but you can't really open it because there's no glass and it's really open and I wish there's a glass so it can stay open para may natural light sa room. It can be a bit scary if you aren't into the "old" world feel. 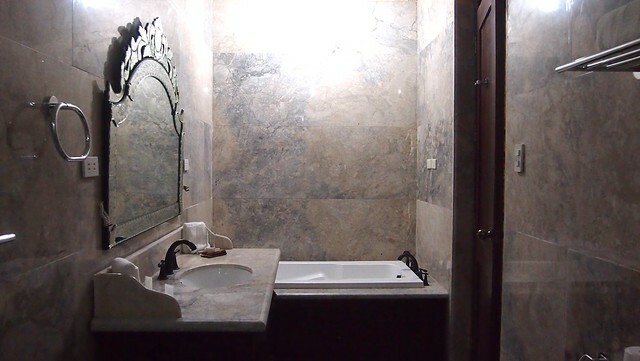 Mahirap din to take a photo because of the light in the room. Hehe! This is our view from the window. Nice noh? 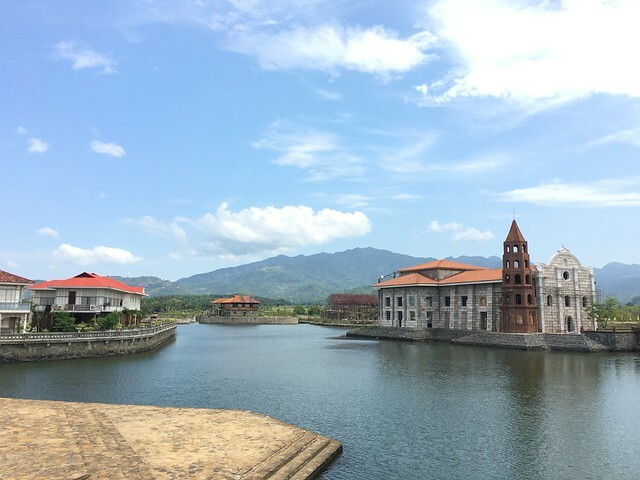 After settling down in our room, we went out to explore what Las Casas has to offer. To get to other the plazas, one has to take their jeep. It's free of charge! 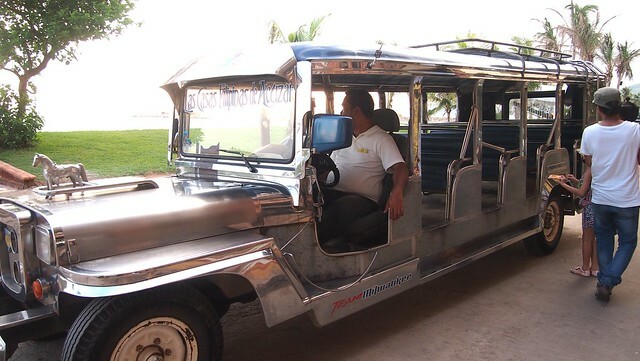 But sometimes, ang tagal bago may dumating na jeep. 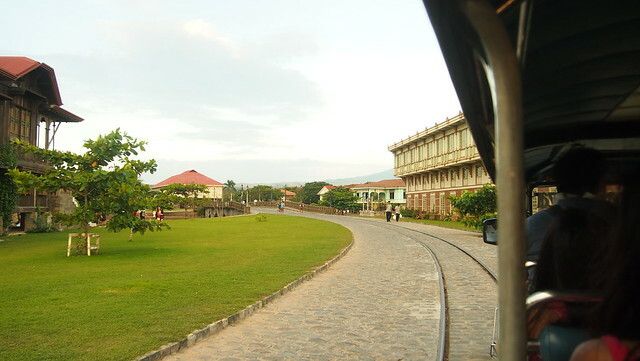 You can opt to walk naman and enjoy the scenery and the other houses. 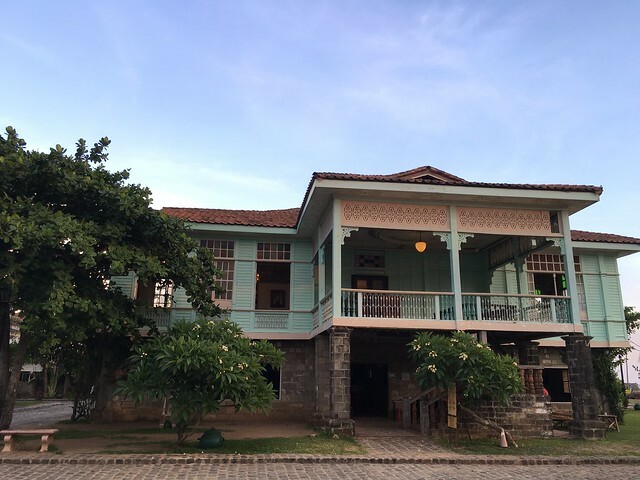 Our first stop was Casa Lubao, this is where the Entertainment and Game Room located and also the pitsop for the Heritage Tour. 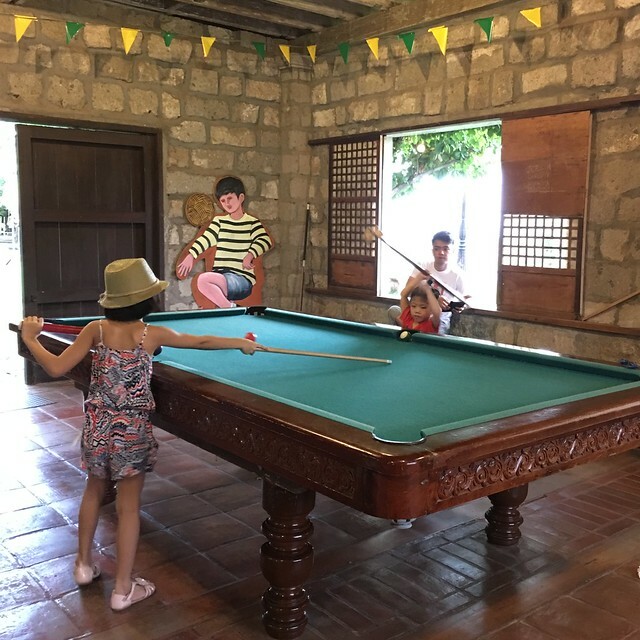 While waiting for our tour to start, we took the opportunity to enjoy the game room and so the kids would be away from their gadgets. Meet Unad! 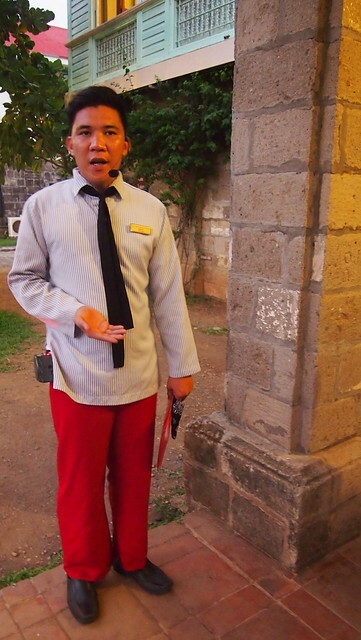 He was our tour guide, who is a very very good tour guide. 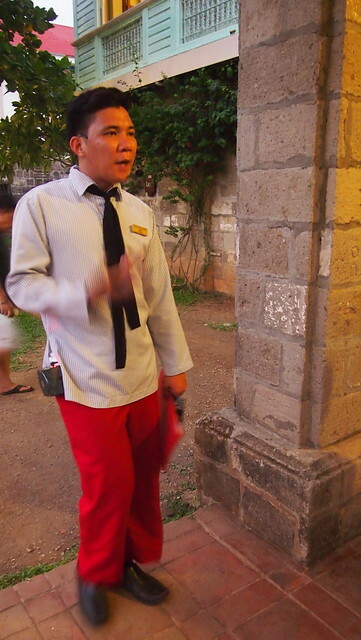 We thoroughly enjoyed his tour, the way he explained things. Sayang lang I don't have much photos of the houses we went to because it was too dark. 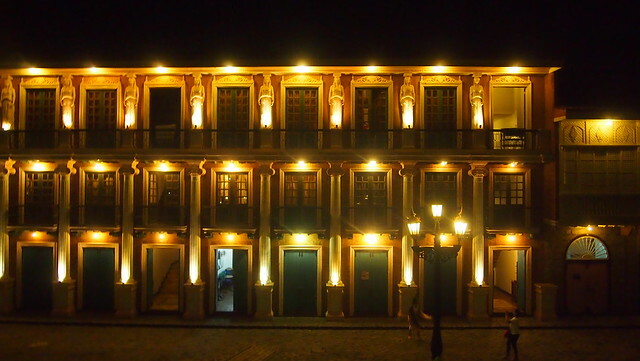 This is Paseo de Escolta at night. 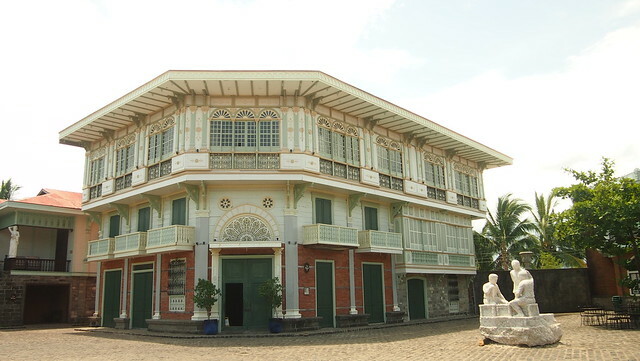 The Heritage Tour is a must when you visit Las Casas. 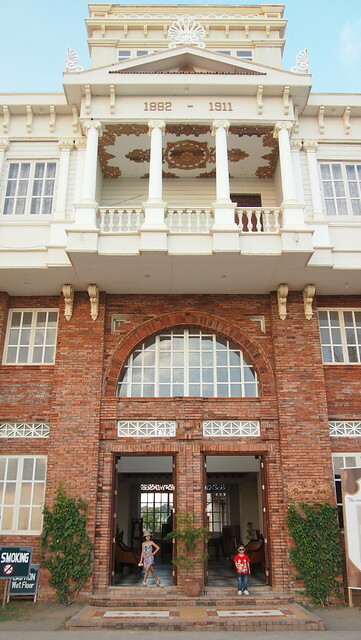 You'll get to know the unique story behind each casa. 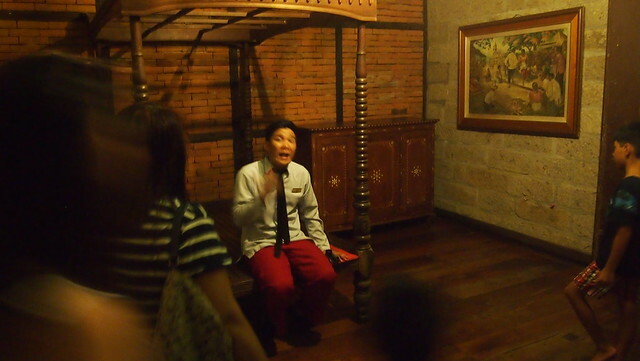 Taking the tour at this time can be a bit scary, if you are not a brave soul, take the tour earlier and for nice photos din! My photos are mostly dark and dim! After the tour, we were all hungry na! 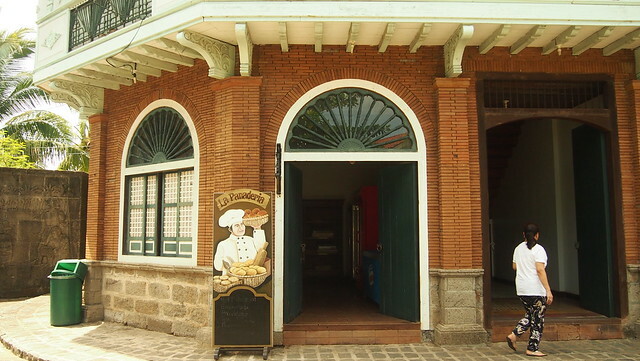 There has three restaurants inside in Las Casas: Cafe Marivent (a Filipino-Spanish restaurant), La Bella Teodora (Italian Restaurant) and Cafe del Rio (pica-pica and snack bar). 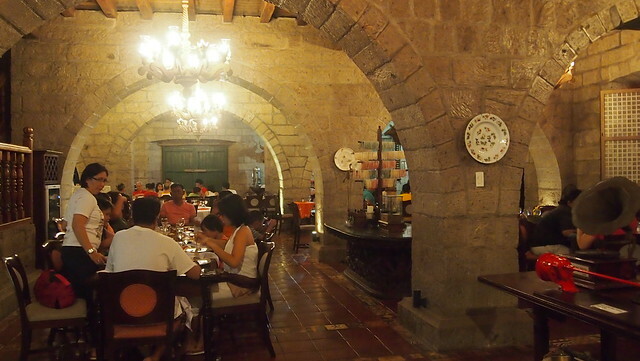 We tried La Bella Teodora on our first night. 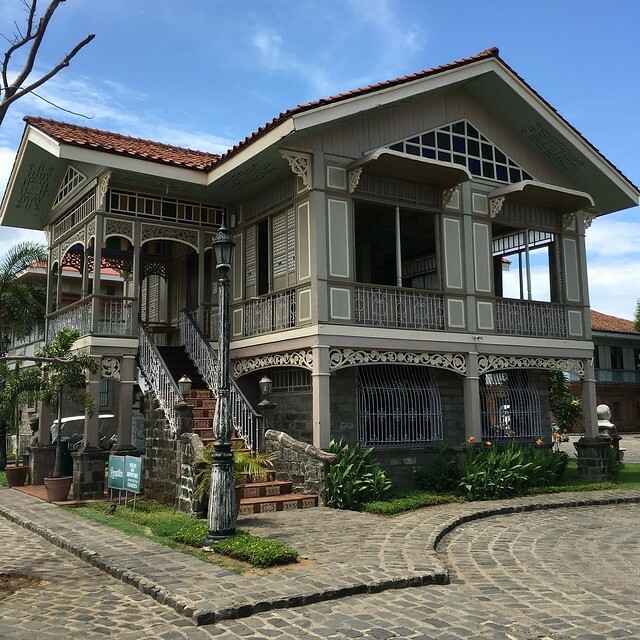 Here's a little tidbit for you: The restaurant is also known as the Alberto Alonzo house or the Casa Biñan for it was originally owned by the family of Teodora Alonzo. 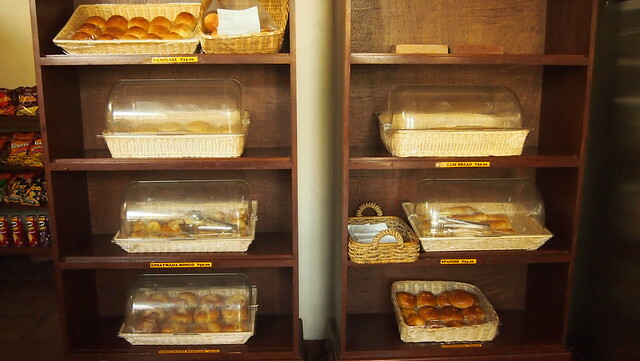 Complimentary bread which was freshly baked. Soft and yummy with butter! 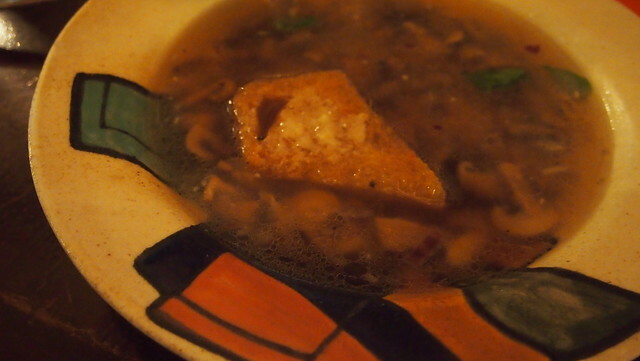 Zuppa Di Funghi. BOS always orders the mushroom soup but he wasn't too happy about this. 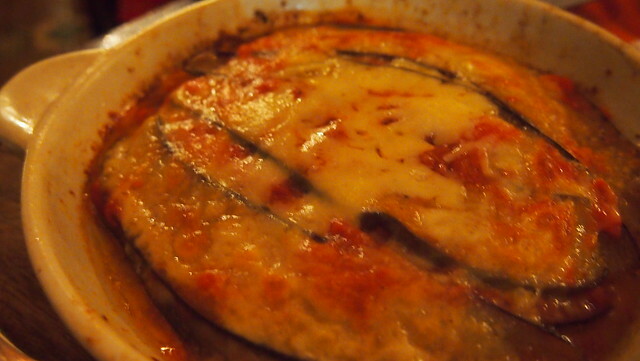 I had the Eggplant Parmigiana which I enjoyed! 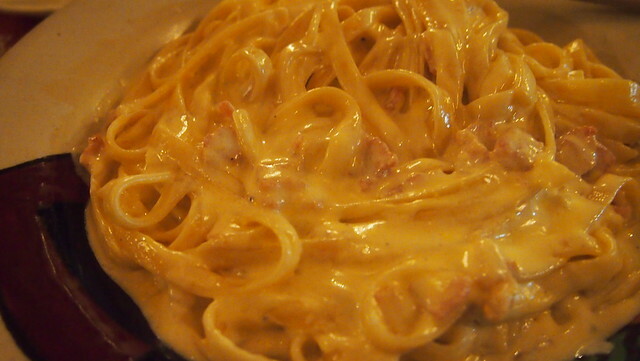 The kids shared a plate of Carbonara which was also okay. 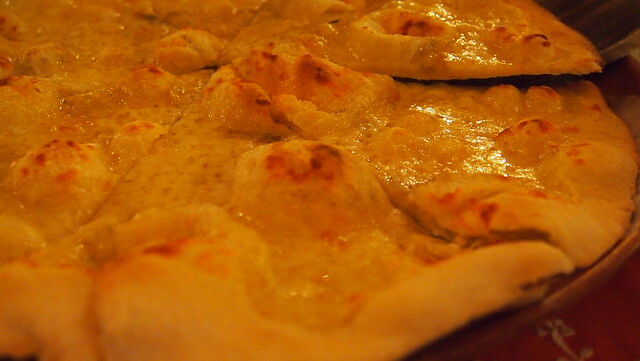 For the pizza, we had the Quattro Formaggi. 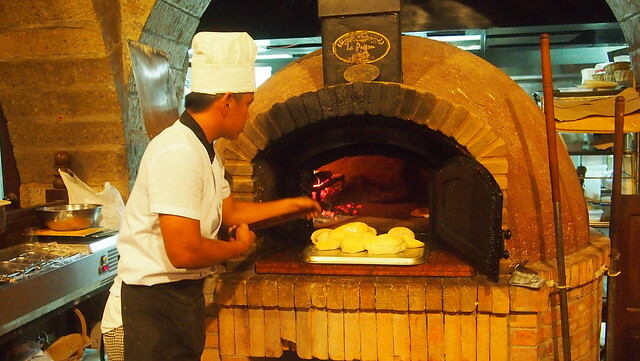 Their pizza was cooked in a brick oven which I expected to be good but the crust was too thin, I didn't taste much cheese too. Verdict for La Bella Teodora? It was only okay. Nothing spectacular. I hope their food would improve because price point is a bit high too. 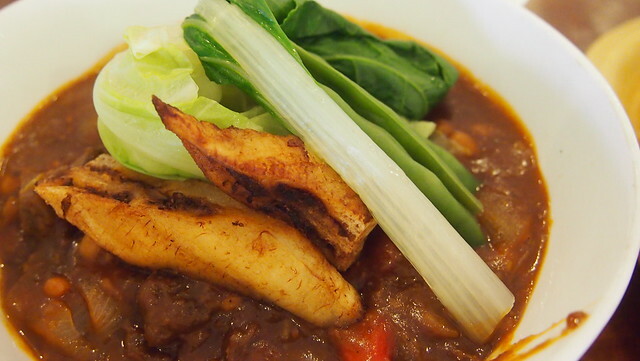 Nothing below Php300! 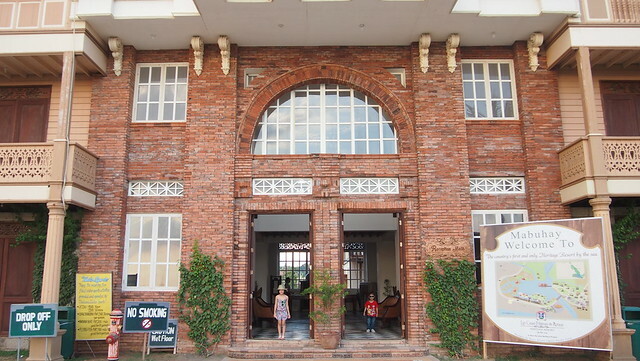 And as per from their website, Le Bella Teodora is currently CLOSED. 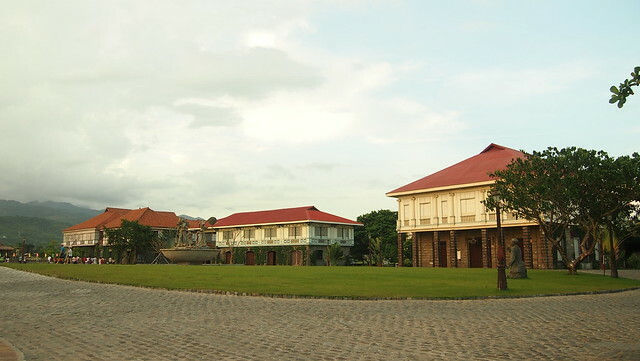 After dinner, we went back to our room to rest and explore more of Las Casas the next day. Our booking didn't come with breakfast so we opt to sleep-in and just go to Cafe Marivent when we wake up and just order their breakfast ala-carte BUTTT Cafe Marivent closes after breakfast and opens again for lunch. Eeeep! So where did we eat? After we found out that Cafe Marivent was closed, we didn't wait for a jeep anymore, we decided to walk around and take pictures. 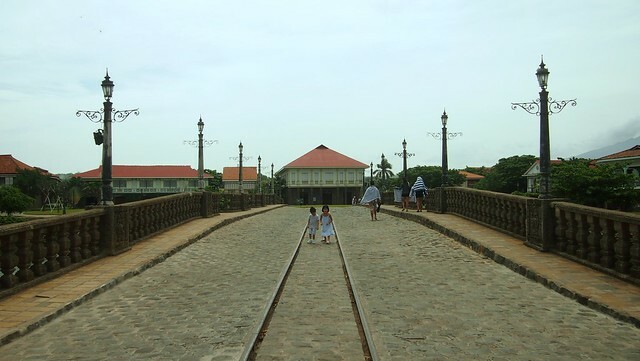 This bridge is a replica of Jones Bridge in Manila. 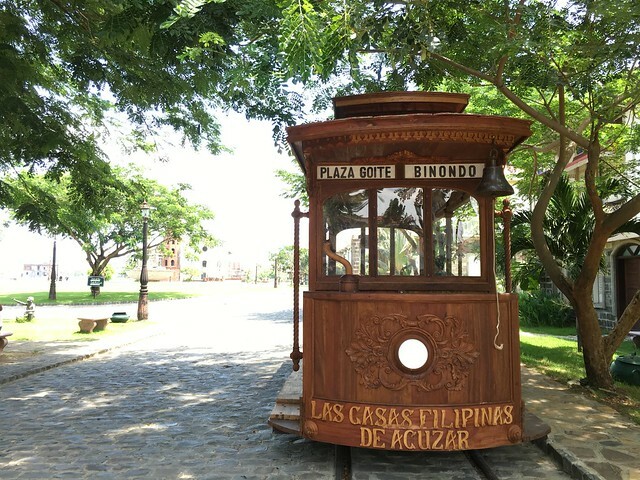 This is Paseo de Escolta by day. There are a number of shops located here but they were mostly closed because it was a week day. 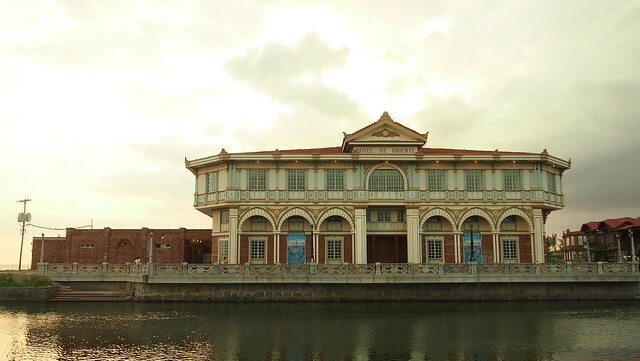 But if you come here on a weekend, all of the shops are open and there's also a cultural show on weekends! 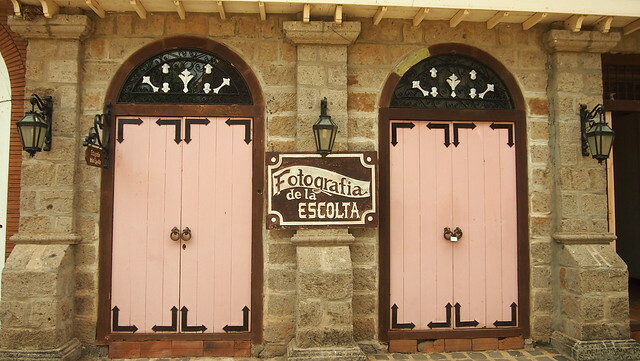 You can have your photos taken in complete regalia at Fotographia dela Escolta (only open on weekends). 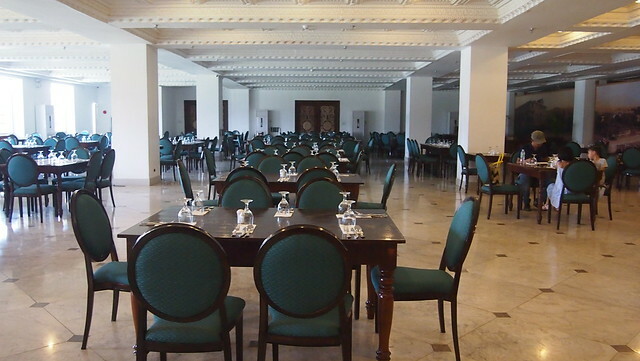 And so this is where we had breakfast for two straight days, the Panderia! 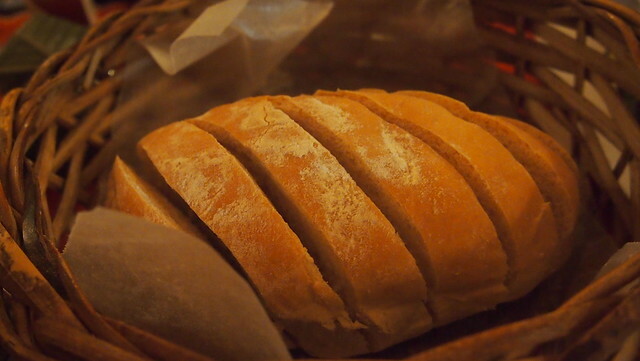 Their Spanish Bread was good! It's what we ate. Haha! It's also their best-seller because it's almost always sold out! 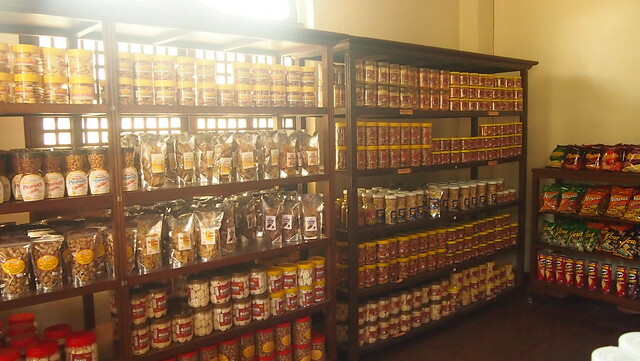 They also sell local delicacies you can take home as pasalubong! 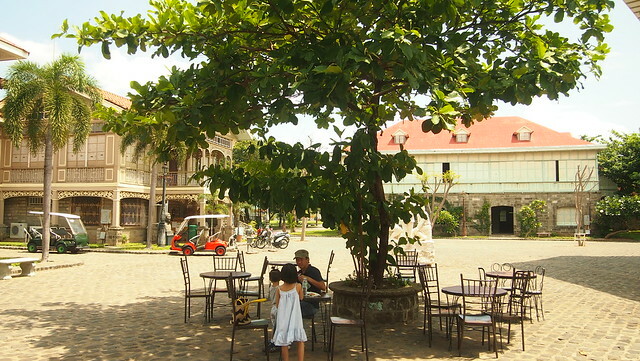 Eating tinapay under a tree! This was our spot, taking all the culture in! Soaked this all in! 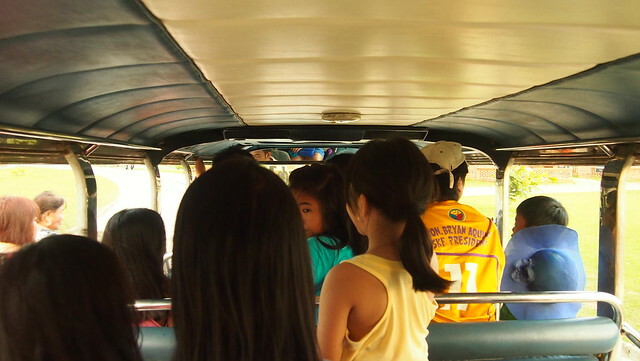 Every time we go out of town, I always hope that my kids would remember the trip and where we took them. If not, there's always photos for them to look at. Heehee! This is the Tranvia which was not operational yet. I wonder if it is now. I can't find information on their website. 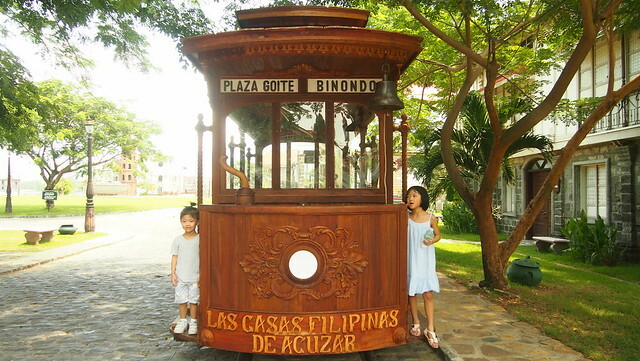 The kids wanted to ride this pa naman kaya picture picture na lang! 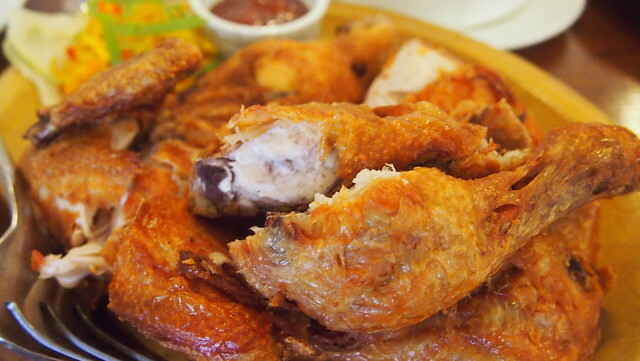 Pritong Manok sa Bagac, Php750. 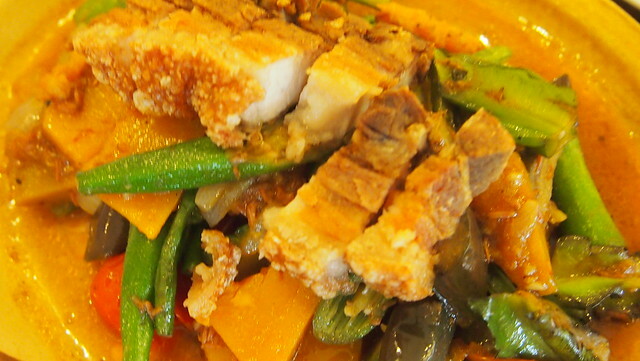 My Bisayang husband likes Pochero, Php675, but I don't think this one passed his standards. Haha! Ending the Part 1 here! 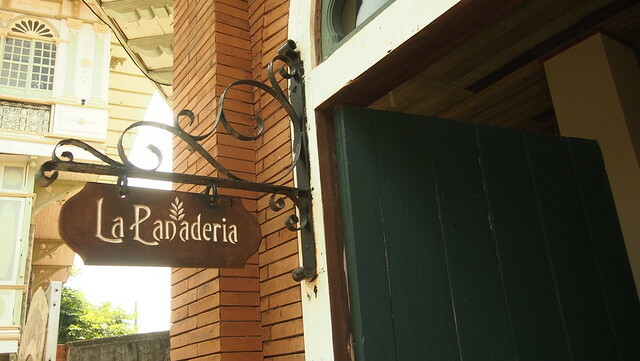 More on the workshop tour and more of the casas on the next post!